The client required a set of three wall lights. A bespoke design, inspiration was drawn from stained glass window from the building. Not from the colours, although a considered factor, but from the patterns which in turn were reflected in the design beautifully. The trio of lights were fabricated from planished copper. 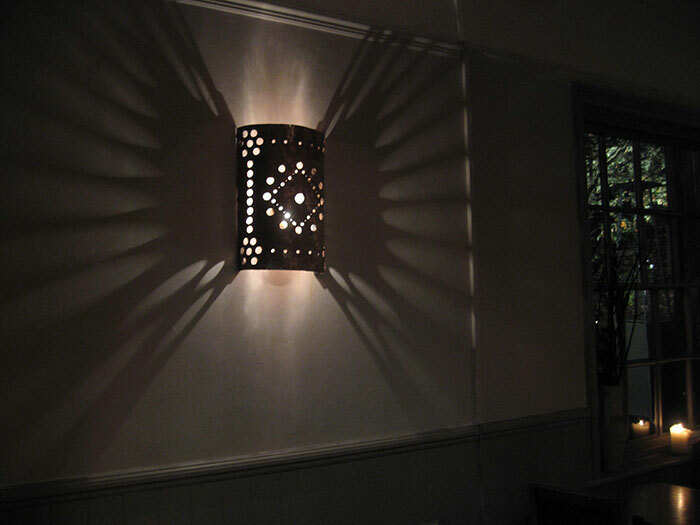 Whilst the raw metal added a rich depth of colour, the light easily flows from the hole design which enables an atmospheric ambience and enhancement to any room.